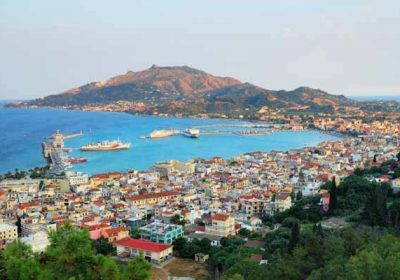 Zante Holidays Free Child Places 2019 @Web2travelDeals. Online Since 2000. Finding the Best Value Holidays with Genuine Free Child Places Zante from U.K. airports. Popular Zante resorts include Tsilivi, Kalamaki, Alykanas, Tragaki. New Zante Holidays Free Child Places 2020. Stop wasting time checking website after website, looking for Zante Holidays Free Child Places 2019, only to find that the deal advertised has expired or does not exist. View Holidays Genuine Free Child Places Zante 2019. We understand from reading online reviews, how frustrating it can be for you, when searching for hours for Family Holidays Zante, only to find that the headline deals advertised are only available in May or September or twice the price during the School Holidays. Zante Holidays @Web2travelDeals is designed to save you time and money when searching for Free Child Places Zante 2019. We regularly check with Top Tour Operators to find out which Zante resorts have holidays from the UK to Zante with Free Child Places School Holidays. This post Zante Holidays Free Child Places 2019 shows you hotels and apartments which our team have visited to check that free child places were available during School Holidays, on the date that this post was updated. Dollas Apartments, Kalamaki, Zante, 2 Star plus. Get More Information and claim your Free Child Place for Dollas Apartments, Kalamaki, Zante. Irene Hotel, Tsilivi, Zante, 3 Star. 7 Nights Bed and Breakfast £648.33 (Total £1,945 based on 2 Adults, 2 Children inc 1 x Free Child Place Dep London Stansted 31 Jul 2019 1 x One Bedroom apartment. 7 Nights Bed and Breakfast £801.33 (Total £2,404 based on 2 Adults, 2 Children inc 1 x Free Child Place Dep Belfast 31 Jul 2019 1 x One Bedroom apartment. Get More Information and claim your Free Child Place for Irene Hotel, Tsilivi, Zante. Di Palai Hotel, Tsilivi, Zante, 3 Star. 7 Nights Self Catering £657.33 (Total £1,972 based on 2 Adults, 2 Children inc 1 x Free Child Place Dep London Stansted 31 Jul 2019 1 x One Bedroom apartment. 7 Nights Self Catering £810.33 (Total £2,431 based on 2 Adults, 2 Children inc 1 x Free Child Place Dep Belfast 31 Jul 2019 1 x One Bedroom apartment. Get More Information and claim your Free Child Place for Di Palai Hotel, Tsilivi, Zante. Petros Hotel, Tsilivi, Zante, 3 Star. 7 Nights Bed and Breakfast £681.33 (Total £2,044 based on 2 Adults, 2 Children inc 1 x Free Child Place Dep London Stansted 31 Jul 2019 1 x Junior suite. 7 Nights Bed and Breakfast £834.33 (Total £2,503 based on 2 Adults, 2 Children inc 1 x Free Child Place Dep Belfast 31 Jul 2019 1 x Junior suite. Get More Information and claim your Free Child Place for Petros Hotel, Tsilivi, Zante. Village Inn Studios and Family Apartments, Laganas, Zante 3 Star. We found Free Child Places Village Inn Studios and Family Apartments departing July 2019 from London Stansted, Belfast and August 2019 Edinburgh. 14 Nights Bed and Breakfast £927.33 (Total £2,782 based on 2 Adults, 2 Children inc 1 x Free Child Place Dep Edinburgh 12 August 2019 1 x Junior suite. Get More Information and claim your Free Child Place for Village Inn Studios and Family Apartments, Laganas, Zante. Razis Apartments, Tsilivi, Zante 3 Star. Close to the resort centre, Small and friendly, Well-equipped apartments. 7 Nights Self Catering £716.33 (Total £2,149 based on 2 Adults, 2 Children inc 1 x Free Child Place Dep London Stansted 31 Jul 2019 1 x Two Bedroom apartment. 7 Nights Self Catering £869.33 (Total £2,608 based on 2 Adults, 2 Children inc 1 x Free Child Place Dep Belfast 31 Jul 2019 1 x Two Bedroom apartment. 14 Nights Self Catering £967.33 (Total £2,902 based on 2 Adults, 2 Children inc 1 x Free Child Place Dep Edinburgh 12 August 2019 1 x Two Bedroom apartment. Get More Information and claim your Free Child Place for Razis Apartments, Tsilivi, Zante. Xenos Kamara Beach, Argassi, Zante 3 Star. 7 Nights Self Catering £1,016.33 (Total £3,049 based on 2 Adults, 2 Children inc 1 x Free Child Place Dep Belfast 31 Jul 2019 1 x Two Bedroom apartment. 14 Nights Self Catering £1,264.33 (Total £3,793 based on 2 Adults, 2 Children inc 1 x Free Child Place Dep Edinburgh 12 August 2019 1 x Two Bedroom apartment. Get More Information and claim your Free Child Place for Xenos Kamara Beach, Argassi, Zante. Porto Planos Beach, Tsilivi, Zante 3 Star. 7 Nights All Inclusive £890.33 (Total £2,671 based on 2 Adults, 2 Children inc 1 x Free Child Place Dep London Stansted 31 Jul 2019 1 x One Bedroom apartment. 7 Nights All Inclusive £1,043.33 (Total £3,130 based on 2 Adults, 2 Children inc 1 x Free Child Place Dep Belfast 31 Jul 2019 1 x One Bedroom apartment. 14 Nights All Inclusive £1,355.33 (Total £4,066 based on 2 Adults, 2 Children inc 1 x Free Child Place Dep Edinburgh 12 August 2019 1 x One Bedroom apartment. Get More Information and claim your Free Child Place for Porto Planos Beach, Tsilivi, Zante. Klelia Beach Hotel, Kalamaki, Zante 4 Star. 7 Nights All Inclusive £894.33 (Total £2,683 based on 2 Adults, 2 Children inc 1 x Free Child Place Dep London Stansted 31 Jul 2019 1 Family Room. 7 Nights All Inclusive £1,047.33 (Total £3,142 based on 2 Adults, 2 Children inc 1 x Free Child Place Dep Belfast 31 Jul 2019 1 Family Room. Get More Information and claim your Free Child Place for Klelia Beach Hotel, Kalamaki, Zante. Diana Palace, Argassi, Zante 4 Star. 7 Nights All Inclusive £1,061.33 (Total £3,184 based on 2 Adults, 2 Children inc 1 x Free Child Place Dep London Stansted 31 Jul 2019 1 Family Room. 7 Nights All Inclusive £1,214.33 (Total £3,643 based on 2 Adults, 2 Children inc 1 x Free Child Place Dep Belfast 31 Jul 2019 1 Family Room. 14 Nights All Inclusive £1,647.33 (Total £5,023 based on 2 Adults, 2 Children inc 1 x Free Child Place Dep Edinburgh 12 August 2019 1 Family Room. Get More Information and claim your Free Child Place for Diana Palace, Argassi, Zante. Alykanas Beach Village, Alykanas, Zante. Get More Information, and claim your Free Child Place Alykanas Beach Village, Alykanas, Zante. SuneoClub Cavo D’Oro Hotel & Studios, Kalamaki, Zante. Get More Information, and claim your Free Child Place SuneoClub Cavo D’Oro Hotel & Studios, Alykanas, Zante. Hotel Louis Zante Beach, Laganas, Zante. Get More Information, and claim your Free Child Place Hotel Louis Zante Beach, Laganas, Zante. Free Child Places Atlantica Eleon Grand Resort & Spa, Tragaki, Zante 4 star. Get More Information, and claim your Free Child Place Atlantica Eleon Grand Resort & Spa, Tragaki, Zante. SuneoClub Tsilivi Admiral, Tsilivi, Zante. Get More Information, and claim your Free Child Place SuneoClub Tsilivi Admiral, Tsilivi, Zante. Planos Bay Hotel, Tsilivi, Zante. Get More Information, and claim your Free Child Place Planos Bay Hotel, Tsilivi, Zante. The above prices were taken from Tour Operators websites in August 2018 and based on departure dates in early Summer 2019 and include 1 free child place.